Feature Vibrant’s “True Straight Through” perforated internals for unrestricted flow and maximum horsepower. 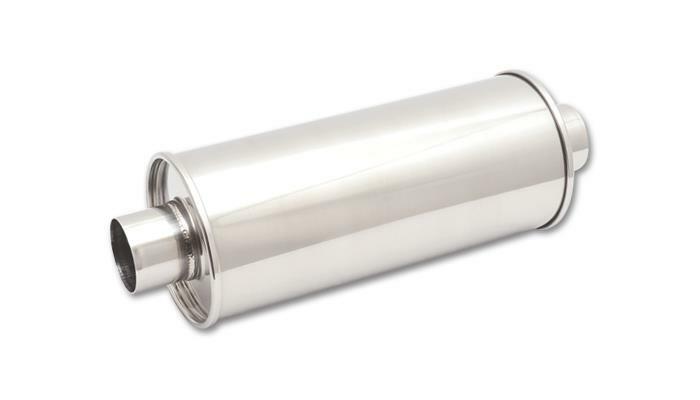 These mufflers are densely packed with our premium multi-layered sound absorption materials, helping produce a low, deep exhaust tone. Exhaust Tips and Inlet Necks are TIG welded for maximum weld durability.